Your customers depend on you. And because consumers of their products demand access to goods when and where they want them you have the added burden of ensuring that every order is fulfilled quickly and efficiently – in their time frame. We know this. It’s the reason we work so hard to provide you with the full service logistics expertise you can depend on. As a contract carrier with a fleet of our own, we are able to move your products on demand throughout the U.S. We keep our fleet close at a 250 mile radius, and leverage industry partnerships to service the rest of the country. 85 trucks and over 100 drivers strong, partner with Spader Freight to get the job done. Many of our clients have frequent and large shipping needs that require special attention. And it’s important that the trucks are in top condition and drivers making those deliveries not only have strong, specialized skill sets, but that they are familiar with your stores and/or products.You expect a high standard of professionalism, so Spader sets up recurring routes to service our contract clients with its most qualified drivers; and using our best late model trucks. If the route extends beyond the 250 mile radius from Clyde, Ohio that our trucks navigate, we then look to our trucking partners to contract on your behalf.Because our drivers are focused on only your account, your product, and your business, they learn your expectations and deliver based on your timelines and requirements.Partnering with Spader Freight ensures timely delivery by experienced drivers dedicated to serving you. We hire only the best and most experienced drivers on the road today to transport your goods within a 250 mile radius from Clyde, Ohio. Having regional routes creates a consistency and familiarity between you and us, as well as our drivers, your needs, and overall expectations. Drivers are happy with regional route assignments as it affords them more time at home with their families, and we’ve seen first-hand how this impacts efficiency and quality of service. Because drivers become intimately familiar with the road landscape, driving conditions, and routes, you enjoy logistical reliability and can rest easy. What it boils down to is you – a happier customer – secure in the knowledge that we’re handling all you need us to; consistently, efficiently, and on time. As your business expands across the U.S. you may need more trucks or routes than we can handle in-house. But we are an industry broker, we can negotiate contracts on your behalf with other qualified trucking businesses with the fleet size you need.Licensed through the Federal Motor Carrier Safety Administration (FMCSA) and insured, we will find the right carrier of your goods at a price you can be happy with. Our knowledge of the shipping industry gives us insight to align your business goals with those of the carriers we work with, making sure you have a headache-free logistical solution in place for your shipping requirements.Talk with us about your needs and let’s get started making connections today. Do you need drivers assigned specifically to your product or product type? We have 53 foot dry vans capable of food grade shipping. And that means we can facilitate your need to get your product onto shelves, quickly, easily, and with the peace of mind that our expert drivers and industry professionals will get the job done right. Talk to us about where you need your products delivered and let us get a contract route set up for you to help your business grow. 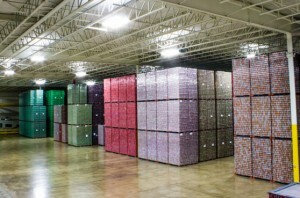 When it comes to warehousing your products you need a safe, insured, reliable facility. 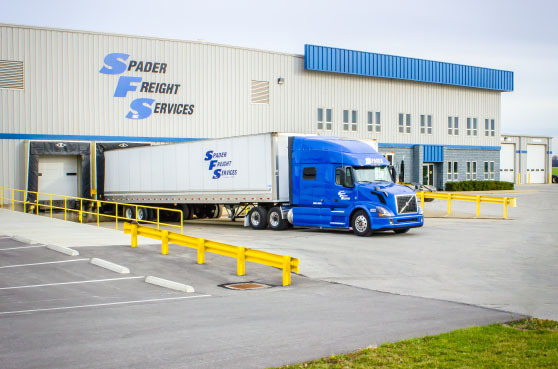 At Spader Freight we offer over 525,000 square feet of warehousing space between our buildings in Clyde, OH and Tiffin, OH. Products are handled as though they are our own, with the same care and dedication you put into producing them in the first place. We are transparent in our processes so you are fully aware of the ‘where’s’ ‘why’s’ and ‘how’s of your inventory’s storage. Inside our distribution centers, our experienced staff can handle any type of consolidation, packaging, and rework requested. When it’s time to distribute your goods, we work directly with you in order to reach your goals. And because our large fleet is able to deliver regionally and our partnerships give us access to credible nationwide shipping services, your products get where they are needed, safely and on time. There is a lot more involved in logistical services than merely loading trucks and sending them on their way. 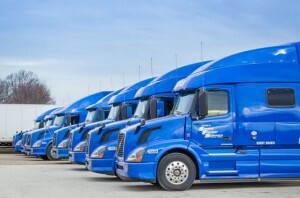 Regulations, specialized inventory, efficient route planning, and many other facets involved in the transportation of goods need to be considered and properly prepared for. Our logistic experts have done the research and immerse themselves in the trucking industry so they can put together the right plan for transporting your goods. 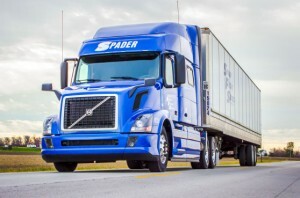 At Spader we work to reduce your costs by analyzing appropriate routes and making sure the best trucks for the products you’re shipping are being used. However we can reduce fuel costs and transportation time we will. And of course, safety is at the forefront for both our drivers and their cargo, and we have a safety record to back it up. Let us know how we can help you save time and money in your logistical operations. 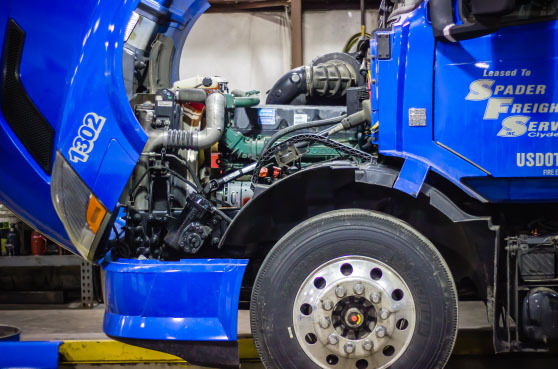 Clyde Truck and Trailer Repair, part of the Spader Freight facility, repairs and maintains trucks and trailers for owner-operators whether part of our team or not. Having an onsite repair shop makes it easy for drivers to get the repairs they need quickly and get them back on the road. More importantly, it’s a convenient resource for maintaining rigs so they don’t spend time off the road on repairs to begin with. Call Adam Powell to learn more or schedule a repair.